Thomas Nilsen, the editor of a Norwegian-Russian news portal and a former member of Bellona’s Russia department, was refused entry to Russia on Wednesday as part of a larger apparent effort by the country’s security services to target civil society influence from Norway. 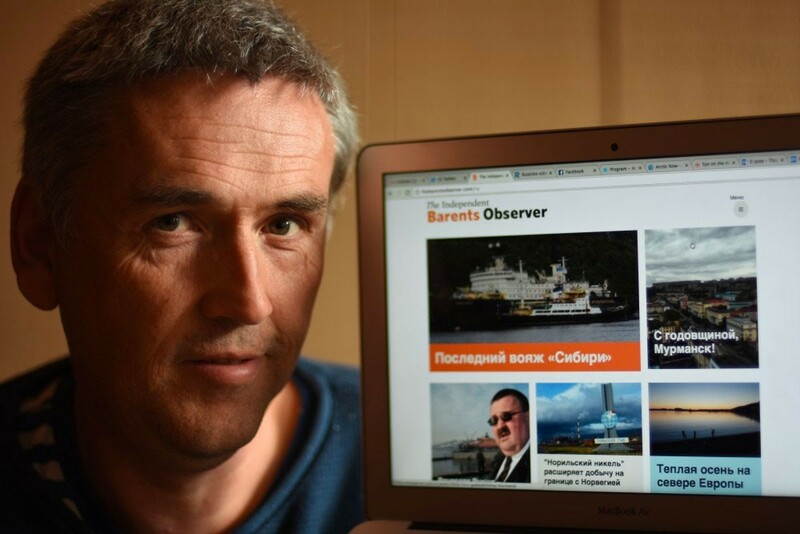 Nilsen, the editor of the bilingual Independent Barents Observer news portal based in Kirkenes, Norway was pulled aside at a border crossing in Borisoglebsk and told his five-year multiple entry visa and journalist’s accreditation to Russia had been pulled. He was traveling with a Danish parliamentary delegation that was on its way to Murmansk and whose mission was to strike a more conciliatory approach between that country and Russia. Nilsen said he was stopped by border guards and told he wasn’t allowed into Russia because he posed a security risk. On Friday, the Russian Embassy in Oslo confirmed Nilsen was banned from entering Russia in conjunction with sanctions imposed by the European Union against Moscow, and the use of “stop lists” preventing certain officials from traveling between Europe and Russia. “Thomas Nilsen has done a tremendous journalistic work for Barents Observer and his travel ban to Russia will make it more difficult to get access to independent information about environmental issues in the Barents region,” said Bellona’s general director Nils Bøhmer, who has written several reports on Russian nuclear issues with Nilsen. “This is in line with the ongoing work from Russia to limit the access to information for the Russian population,” said Bøhmer. Nilsen has been traveling back and forth to Russia for numerous civil society purposes for more than two decades. During his tenure with Bellona, Nilsen was heavily involved in the defense of Alexander Nikitin, the Bellona expert from Russia who in 1995 was charged with treason for his contributions to the organization’s report on radioactive waste handling in the Russian Navy. Russia’s Supreme Court acquitted Nikitin in 2000, but Nilsen and other Bellona staff who co-authored the report became the target of temporary visa bans in 1996 during the trial. Since Bellona, Nilsen has edited the Independent Barents Observer, which was the focus of a backstairs flap between the Norwegian government and Russia’s security services. In October 2015, Nilsen says the Federal Security Service, or FSB – the successor of the KGB – pressured Norwegian officials who oversaw the Barents Observer to close it, which they did. Nilsen and his staff reopened the paper and placed its ownership in the hands of its journalists, and an anonymous official later confirmed to Norway’s state broadcaster NRK that Norwegian officials had been strong-armed by the Russians to gag the outlet. The outlet covers issues of cross border cooperation between Norway and Russia, and it’s has often raised hackles on both sides. Nilsen has also aggressively covered issues of cross border pollution emanating from Russian industry on the Kola Peninsula, as well as the ongoing saga of nuclear waste produced by the Russian Navy’s Northern Fleet. The FSB’s apparent targeting of Nilsen as a security risk hearkens to a growing pattern of making Norwegians feel unwelcome in Russia, and further efforts to choke the freedoms of the foreign press. Last year, Julie Wilhelmsen, a researcher with the Norwegian Institute of International Affairs had her privileges to travel to Russia yanked for three years. A businessman named Atle Berge was accused of espionage and banned for 10 years. Nilsen pointed out that the apparent ban on his travel drives a wedge in cooperation between the arctic regions of Russia and Norway that have remained healthy despite broader tensions between Oslo and Moscow.